But every year at this time I remember that the Houston-Galveston area has been caught by surprise in two different ways in the last few decades. 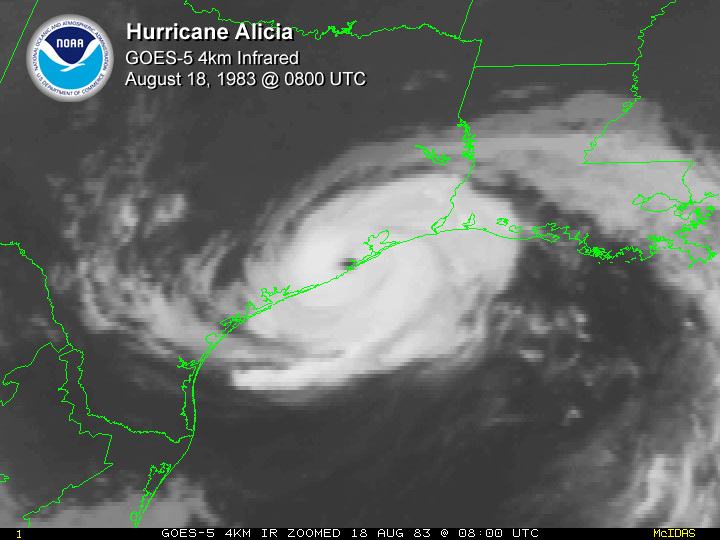 Once with hurricane Alicia in ’83 which formed up just south of Louisiana as a small thunderstorm but which made landfall near Galveston just three days later as a major category three hurricane. Note that it was the ‘A’ storm, i.e., the first storm of the season, and yet it didn’t develop until fairly late in what had been a very quiet season. On the flip side of the surprise scale, tropical storm Allison smacked the same area in the very first week of the season in 2001. Allison’s winds weren’t high enough to warrant its elevation to hurricane status and yet the devastation it yielded was such that it’s the only tropical storm ever to have its name retired from the list without ever having been a hurricane at all. Two news items this week also remind us that there’s always plenty to keep up with in the world of tropical storm preparation. Despite a relatively quiet period over the last several years (depending on your location), “the insured value of property along the Atlantic and Gulf coasts jumped from $7.2 trillion in 2004 to $10.6 trillion in 2012” due to the continued explosion of growth and development of real property and infrastructure along both coasts. “Too many people are in denial about the risk,” says Steven Weisbart, chief economist for the New York-based Insurance Information Institute. “The population has decided it’s not afraid of being exposed to hurricanes and storm surge.” That’s a problem. And remember, more than half of the population of the U.S. lives within 50 miles of a coastline, although tropical storms aren’t usually that much of a problem for the West Coast. Nevertheless, it’s a good reminder that if you live in a coastal zone that experiences frequent or even just occasional tropical activity, it’s not the season that you prepare for – it’s the one storm. This applies to both your personal/residential circumstances and your professional situation. And with more and more neighbors moving in each year, you’ll need to be even shrewder in improving your response plan in the future. On the brighter side of the news, in an effort to enhance forecast precision of the potential effects of a storm, starting this year NOAA will for the first time issue separate warnings and watches for the categories of wind speed and storm surge. Why? Because by far the flooding caused by storm surge is not only more damaging to property than high winds but surge also kills far more people than high winds do. (If you’re a coastal native, “hide from the wind, run from the water” is even more a part of your genetic makeup than “hunker down” is.) Higher wind speeds don’t always result in more severe surge and vice-versa, so splitting those categories into two different types of watches and warnings should help improve the accuracy of the forecasts and, hopefully, make people heed the warnings better than they sometimes have in the past. If nothing else, at least it will give all of us in business continuity something more concrete to work with when our executives look to us for recommendations about whether or not to trigger a deployment. Just what do the experts think the 2015 season will bring? Continuity Housing hasn’t hosted a season outlook webinar in a while so we asked Chris Hebert, lead hurricane forecast with ImpactWeather, for a short webinar on May 14th at 11:30 Eastern / 10:30 Central. Here’s more information and where you can register to attend. I’ve known Chris for 25 years and he’s the undisputed master of both seasonal and storm-specific hurricane forecasting in addition to being a skilled and entertaining presenter. This Continuity Housing webinar is, as always, free and you’re welcome to invite whoever you’d like to. Do you have an interesting business continuity-related topic or solution that you’d like to host a webinar about? Email me. If your topic is compelling, your content is solution-oriented, your presentation style is superior and your presentation is NOT a sales pitch, Continuity Housing may be interested in hosting and publicizing your presentation at no cost to you. When we share what we’ve learned, we all benefit. Based in Atlanta, the Southeast Business Recovery Exchange (SEBRE) was founded as “a nonprofit organization that promotes the interaction of persons involved in, or responsible for, business continuity planning/disaster recovery in their respective organizations.” The group meets twice a year, once in Atlanta and once in some other southeastern city, to discuss real business continuity strategies, lessons learned and ideas. Interestingly and constructively, companies that sell BC/DR solutions aren’t eligible for membership but representatives from such companies are occasionally invited to speak, and at the meeting a couple of weeks ago in Atlanta, Continuity Housing principal Michelle Lowther was that fortunate individual. Full disclosure: in exchange for the honor, Michelle got to treat the entire group to dinner. Says Michelle, “I went because it’s a targeted group of leaders and because of the timeliness of this meeting of companies in the southeastern U.S. as hurricane season approaches. SEBRE’s mission dovetails very well with Continuity Housing’s services and our overall philosophy that a continuity plan is never done – there’s always something that can be added or enhanced to make it stronger and make your company that much more resilient. As always, the goal with such meetings is to find out what works in business continuity and, more importantly, what was supposed to work last time but didn’t. Trust and a clearly stated understanding that open communication is mutually beneficial combine to go a long way towards generating solutions that can help everyone out next time. The American Institute of Architects Houston chapter offers an outstanding series of regularly scheduled walking tours and two weeks ago I, along with a dozen or so other folks, mostly tourists, went on the one that focuses on the Texas Medical Center. Why? For the same reason I went on the boat tour of the Houston Ship Channel last summer: because I thought I might learn something valuable about better business continuity planning overall. The walking tour was outstanding, lasted three hours, spanned about a 2 ½-mile route and required a short hop on the METRO rail that runs through the middle of the huge Med Center complex. Fancy pedestrian traffic dividers (on the left)? Nope. Rotating flood locks. Click to see full size. Same flood gates at the top of the steps but the pretty ground-floor panels to the right surround the building and are also interlocking flood gates. Other types of gates include humongous round submarine-style pressure-lock doors. Location: Michael E. DeBakey Library/Museum. Another interesting point is that although many modern buildings are now being built to LEED standard, few companies are interested in actually obtaining actual LEED certification because it’s so cumbersome, time-consuming and expensive to do so. And if companies can say their buildings have been built to LEED standard without spending the time, energy and money required for the actual certification, isn’t that the best of both worlds? Juxtapose that against the value of obtaining a CBCP, MCP or similar accreditation owing to the genuine value of those certifications. The LEED issue reminds me of a decision we faced at Continuity Housing about whether or not to obtain accreditation as a woman-owned business. Ultimately, the potential value and benefits didn’t justify the cost and hoop jumping. The logo and certificate are nice but neither enhances our services, our reputation or the value we bring to our clients. You know those cringe-worthy stock photos you see of enthused, engaged, almost outright tickled-pink-to-be-there corporate employees in meetings that you see on company websites and in print materials? You may have heard that actor Vince Vaughn starred in his own set of similarly awkward stock photos over the last few weeks as part of a marketing campaign for the movie Unfinished Business. (I was going to include a link to the trailer but then I remembered a lot of you might be in the office right now.) It’s outstanding marketing because they generated a huge amount of free buzz (guilty as charged) by commandeering a mildly humdrum private media resource that actually dovetails the theme of the movie. We like Vince Vaughn so we started kicking ideas around for captions to the different photos in the series. We particularly liked this one: “It’s a phone tree, people. Ugh! I can’t believe they think that’s a continuity plan. Look how excited they are! Are they serious with this? I’m going to have to kick it up a notch, and I know just the way to do it . . .” Take a look at this one and share your funniest caption with us. We’ll run them next week. The Association of Contingency Planners and Continuity Housing have several interesting and highly educational webinars coming up and registration is now available. As always, the webinars run 20 to 40 minutes, it’s free to register and they’re available to anyone who wants to attend them. Register if you’re interested even if you can’t attend on the day of the live presentations so that you’ll receive automated notification with the link to the recorded version that you can watch any time on Continuity Housing’s YouTube channel or in the Members area of the ACP website, although you don’t have to be a member to register to attend any of the ACP webinars. March 26: Another great ACP Webinar Series presentation by the Business Continuity Institute: “The Threats We Face.” Register here. Severe weather, cyberattacks, fire, power outages, supply chain failures; the media is full of stories of disruptions that befall organizations, disruptions that could devastate the organization if plans aren’t in place to manage them. But what type of disruption provides the greatest level of concern for organizations? The BCI’s Horizon Scan survey has shown that for the last three years, IT/telecoms outages, cyberattacks and data breaches have consistently been the top three threats and the latest edition of this report was no different – except that the number one threat has now changed. Andrew Scott and Patrick Alcantara of the BCI will go through some of the findings and answer any questions you have. business continuity, crisis communications and pandemic plans plus training and exercises. Active shooters strike malls, high rises and factories as well as campuses. There have been four times more active shooters since Sandy Hook than in the five years before. How will your employees, contractors and visitors respond? Response is dramatically different in a high rise than in a mall or on a corporate campus. This session will give you insights on how you and your employees should plan, train and exercise for this growing and foreseeable emergency. We’ll profile the likely perpetrator and likely motives and then how you should plan and train your employees to stay safe. Registration will also be available in the next week or so for the next couple of ACP webinars: “The Value of Business Loss Insurance” in May and a follow-up in July to the great presentation about protecting your work force during a public health emergency that Harlan Dolgin of the Bio-Defense Network made last month. In addition to the ACP Webinar Series presentations, on May 14th Continuity Housing will host “The 2015 Atlantic Tropical Season Outlook” presented by Chris Hebert, an outstanding veteran presenter and TropicsWatch manager and Lead Hurricane Forecaster at ImpactWeather. Have the tropics really been quieter than usual over the last couple of years and is that trend expected to continue? Register now. Take advantage of these free, educational and usually very entertaining webinars by telling us what in the (business continuity) world you’d be interested in learning more about that we could add to the webinar roster. Email me or leave a comment. And don’t forget to email me any questions you might want answered during any of the webinars but don’t forget to let me know which webinar(s) you’re asking the questions about. c|net, the venerable website that publishes news and reviews on all things tech, recently reported on a survey that revealed the worst passwords of last year. And they’re pretty terrible if somewhat humorous: at the top of the list are “123456” and “password.” But the news is not all bad. “Online security expert Mark Burnett assisted SplashData with the study” and reports that the top (or bottom) 25 bad passwords represent only 2.2% of all the passwords studied, a decline in the use of bad passwords from previous years. The takeaway? It’s not too late to make a new year’s resolution to update your passwords to make them more secure and remember to change them often. Make a game out of it by coming up with a recipe that wouldn’t make sense to anyone else and then changing your passwords a few times a year. The White House is set to intervene in the dockworker’s strike on the U.S. West Coast as it begins to stretch into its fourth month after a “work safe” slowdown was initiated by the International Longshoreman and Dockworkers Union after failure to renegotiate a contract which expired on July 1st of last year. How does this effect business continuity? More than 40% of the nation’s containerized cargo trade – an estimated 12.5% of the nation’s GDP – moves through the ports currently involved and the U.S. auto industry, for one, is beginning to experience slowdowns in manufacturing due to a lack of resupply of parts. And shipping rates are beginning to climb across the board as cargo ships marshaled offshore and still waiting to be unloaded continue to be unavailable to ship other materials. How is your supply chain affected and, perhaps even more importantly, what about the supply chain to your main suppliers and vendors? 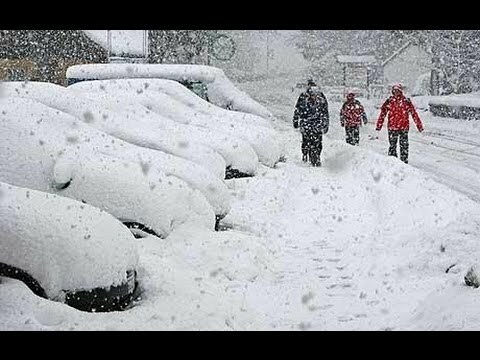 Could an upstream interruption turn a rolling snowball into a snow boulder for your customers? Even if the current situation isn’t harming the output of your company, it’s a good reminder that the only thing better than a Plan B is a Plan C.
If you’ve ever tossed an unopened mini-bottle of shampoo into your bag on the way out of your hotel room, you may have started down an interesting path. BC/DR is all about logistics and the list of craziest items ever stolen from hotels has me wondering how some of that stuff made it out the door unobserved. A grand piano? A marble fireplace?? For your own edification, note that certain items such as soaps, coffee packets and notepads are expected by hotels to either be consumed onsite or removed by guests for later use and because many of the items are often logo-stamped and therefore count as a marketing expense, loss on such items is built into the room charge. Emancipated linens, televisions and plumbing, however, will probably earn you an overcharge on your card at the very least. Click to watch the segment. Speaking of stealing at hotels, Good Morning America showed this morning just how easy it is to gain access to an open, occupied hotel room by simply picking the room where the maid cart is parked and the door is open. “Oh, hello. I forgot my stuff.” Smile sheepishly, snag the stuff, walk casually out the door. Their recommended safeguards? Always use the room safe or ask to use the hotel safe. Put locks on your luggage. Turn on the GPS tracker function on your phones and computers. Okay, but suitcase locks can be snapped off easily enough offsite and even with GPS tracking enabled, your stuff is still gone. In addition to these steps, Continuity Housing suggests that you tell the desk that you don’t need maid service for the duration of your stay if it’s just for a few days, and reinforce your request by posting your Do Not Disturb sign. You can request fresh towels, soap, etc. when you need them and if you’d like housekeeping service, schedule it for a time when you’ll be in the room. Think of it not just as going green, but going home with everything you packed.